A sure sign of winter? Rising utility bills. Save energy in your home with these tips and tricks. We’ll look into some new models/features you might consider, as well as usage tips for your existing home appliances. It’s time to cut costs - without sacrificing comfort. To lower your electric bill, check that your fridge is on the normal (manufacturer recommended) setting – not the coldest – as the coldest setting can in fact be too cold for certain vegetables, fruits, etc. – and will raise your electric bill needlessly. A fuller fridge and freezer also take less electricity to keep cool - due to the quantity of already-cooled items. Another way to save? An LG Door-in-Door refrigerator. Browse the contents of your fridge – without letting out any cold air. This is especially useful for families with children – that mull over their snack options in front of an open fridge. When you’re looking to reduce energy costs – Energy Star appliances are always a great option. 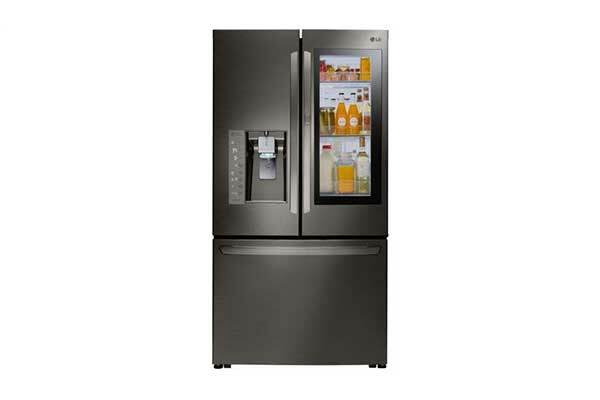 Browse our selection of Energy Star rated refrigerators. The dishwasher can also help you clean up (get it?) when it comes to saving on your electric bill. This might sound obvious – but run the dishwasher only when it’s full. Turn off the heat dry feature and allow your dishes to air dry. For those days when you only have a few items, hand wash and hand dry. 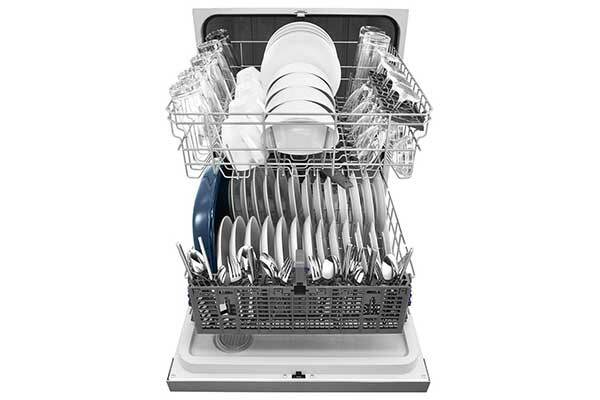 Some dishwashers also offer the feature of ‘top rack only,’ so if you just have a load of glassware to wash, you don’t waste water or energy on a full load. You might also consider an Energy Star rated dishwasher – especially one like this Whirlpool option – that comes with Soil Sensor – automatically adjusting the temperature and water usage based on load size and the cleanliness of your dishes. An easy way to reduce your electric bill? Washing laundry in cold water. You can also dry on low heat and hang dry when clothes are still just damp. Always wash and dry full loads – or at least remember to change your water level setting to that appropriate for the amount of laundry on hand. Check out our options for Energy Star rated laundry appliances as well. We have both energy efficient washers as well as energy efficient dryers. Many of these models come with advanced (energy-saving) features – like load sensing technology in washers (to use only the water quantity needed) and moisture sensing for dryers (to stop your clothes as soon as they’ve dried through). When heating food and looking to save – remember to use lids when possible (based on item and recipe) – to speed up cooking time. Bonus tip? Cook more in the winter. Not only will you likely save on grocery costs vs. eating out – the heat from the oven during cooking will inadvertently help warm your home – thus potentially helping you save on your heating bill. If upgrading your oven, convection ovens do use less electricity – as they tend to cook foods at reduced temperatures as well as cook items more quickly. For a lower energy bill, be sure to unplug appliances (like toasters, chargers, etc.) when you don’t need them. This helps to avoid vampire electrical use – that is, the electricity appliances use on standby. This is a great tip - not only for lowering your electric bill in winter – but also all year long. For cold months, consider weather stripping for doors and windows. Lastly – use your ceiling fan (clockwise) to keep the cool air up – the warm air down - and your electric bill lower as a result. We hope these tips and new appliance options/features help keep you warm and comfortable this winter – while cutting back on your utility costs. If you need more advice on how to save electricity at home, or are interested in learning more about energy-saving appliance models – our friendly, expert staff is here to help! We’ll find the perfect fit for your lifestyle and budget.